Carrer Processó, 1, Madremanya, 17462, Costa Brava, Girona, Catalonia, SPAIN. 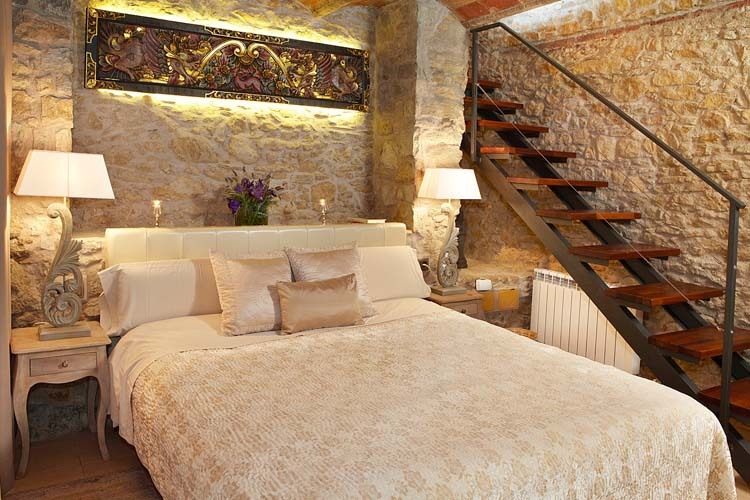 El Raco de Madremanya is an enchanting 14 room boutique hotel with all the charm of a medieval village and all the comfort of impeccable details. 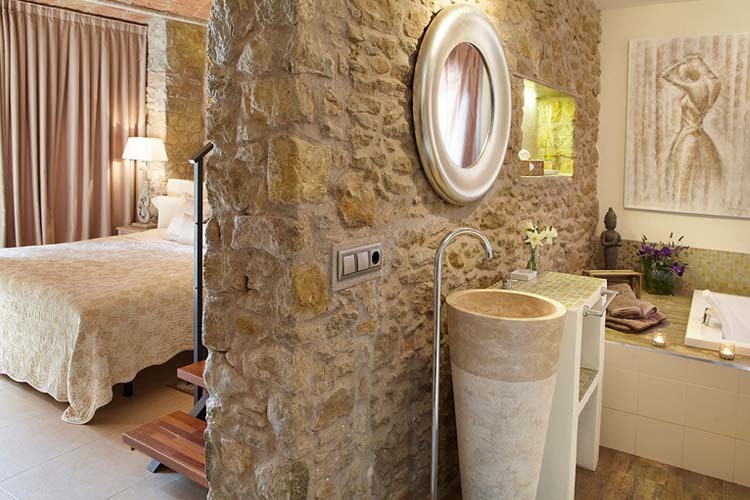 Each room (2 of which are suites) has a different personality and decoration. 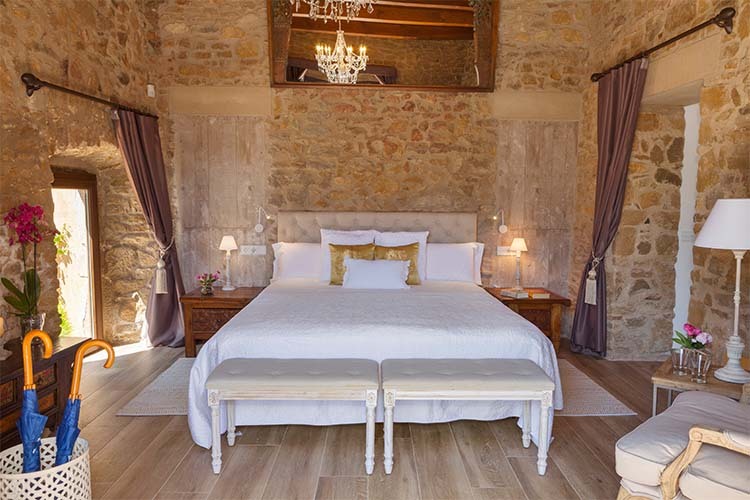 El Raco de Madremanya consists of three different buildings: a magnificent 17th century stone farmhouse, the former hayloft, and a beautiful, contemporary style construction that is perfectly integrated into the surroundings. The garden of 3,000 plus square meters is covered in lush grass and features 2 beautiful swimming pools. One of them is with salt water, the other one is heated from April 1st to October 31st. 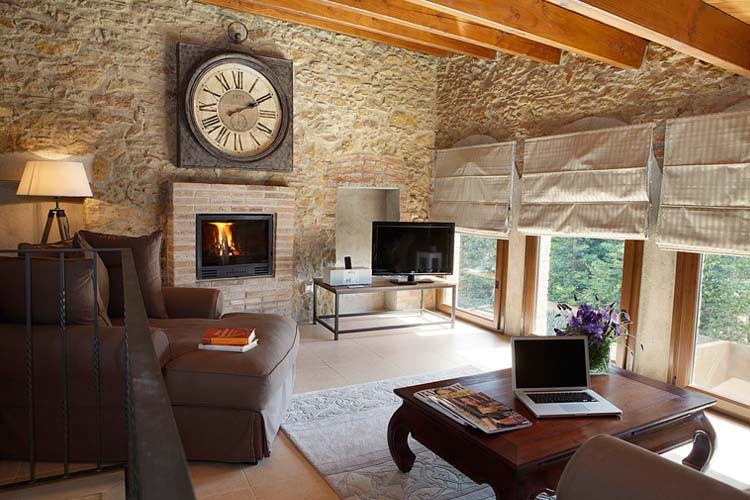 El Raco de Madremanya enjoys a privileged location in the Gironès region, sharing the Empordà landscapes and environment. 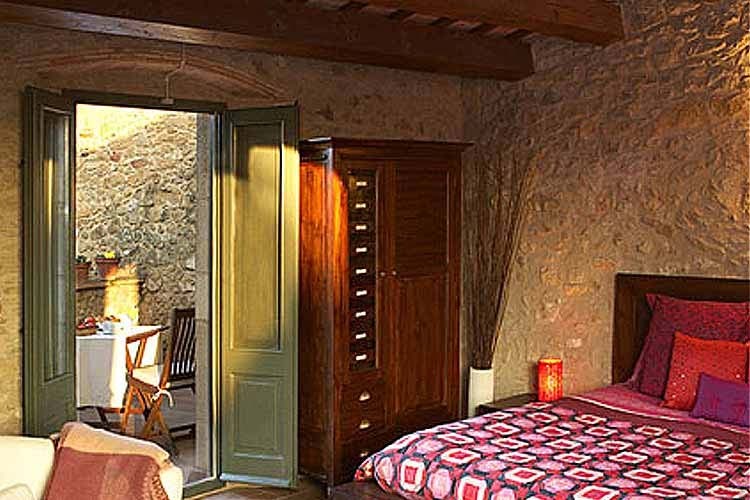 El Raco de Madremanya is the perfect starting point for visiting both Girona as well as the Empordà. 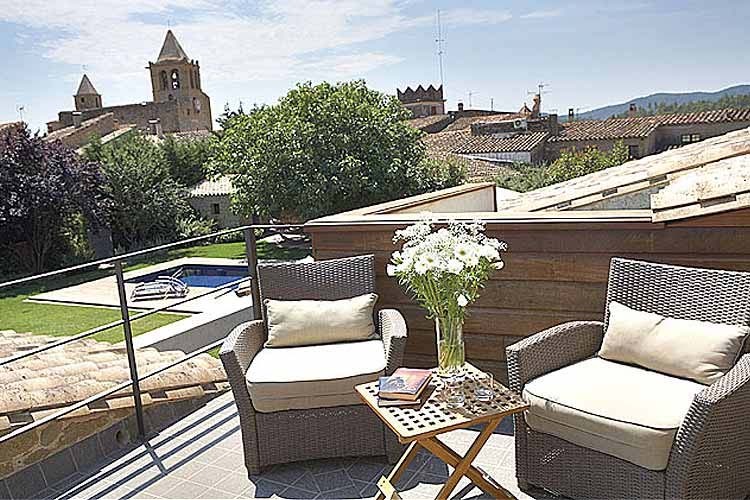 Some area highlights include Madremanya Church (14th century Romanesque building), Dalí Route (Dalí Museum in Figueres), Púbol Castle, the ruins of Empúries, and the Mare de Déu dels Àngels Mountain Range. 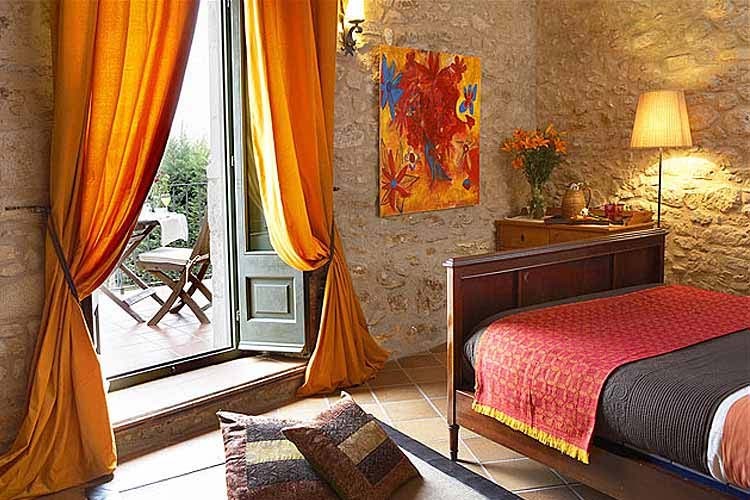 Other beautiful villages in the area include Sant Martí Vell, Peratallada, Pals, Monells, Calella de Palafrugell, Palamós, Llafranc, and Besalú. 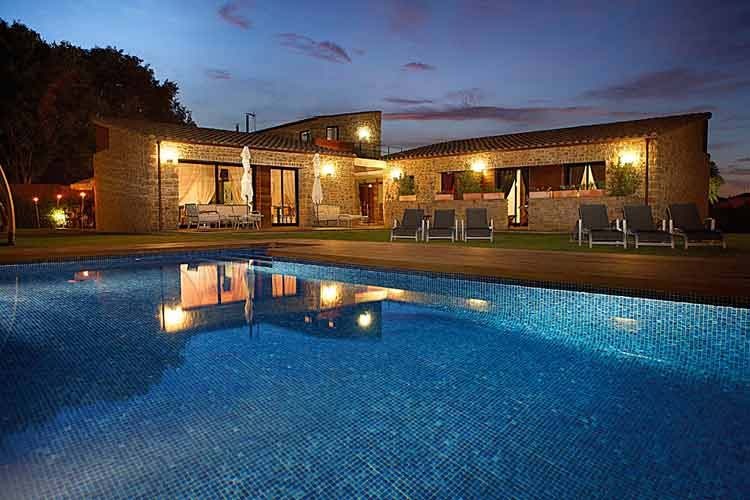 In addition, El Raco de Madremanya is near several golf courses, riding schools, and the fantastic Costa Brava beaches. 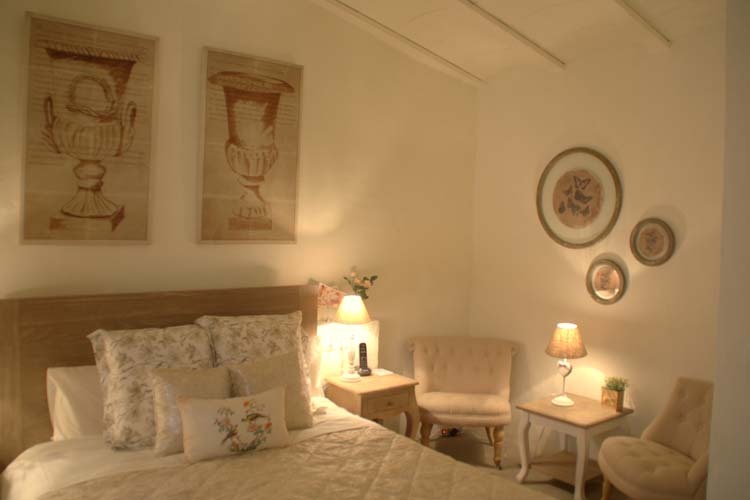 The 6 suites and 8 rooms are decorated differently and boast a cosy, welcoming atmosphere. 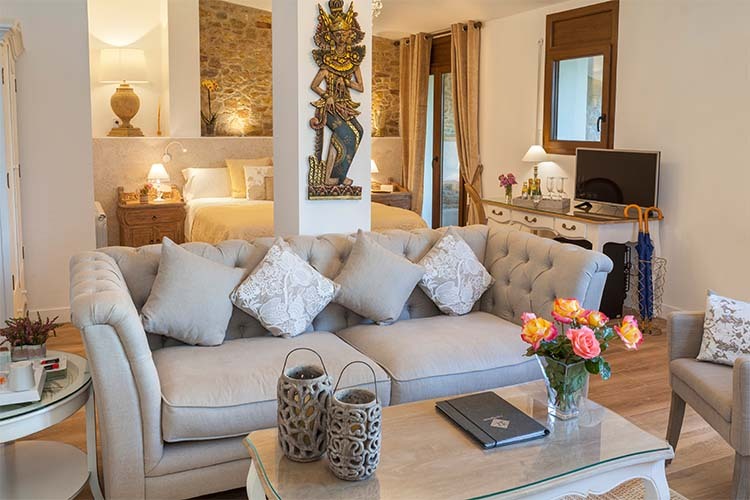 The renovated 17th century farmhouse: contains 7 spacious rooms with terraces, fireplaces and several lounges with pleasant nooks and crannies. 1 room is on the ground floor with direct access to the garden and a small sitting room and an independent terrace. 5 first floor rooms upstairs are accessed through the sitting room. 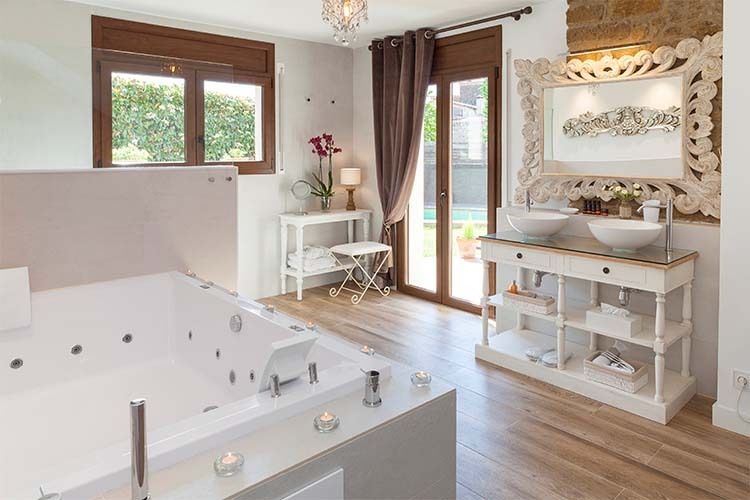 These rooms are outstanding for their spaciousness, their impeccable details and because each of them has its own, distinct personality: some have their own private terrace while others, a fireplace, and they all boast gorgeous views. 1 Suite is on the second floor. A spacious, bright room, this suite (approx. 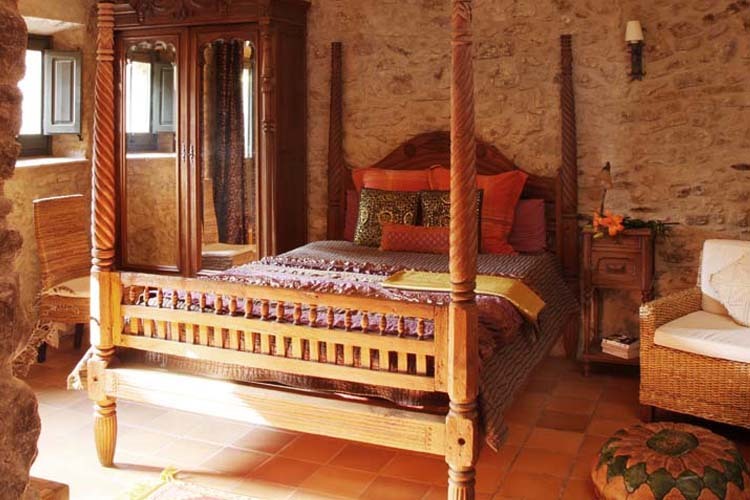 70 m2) has sloping wood ceilings and access to an independent terrace. In the contemporary style building: there are 3 rooms, as well as the dining room with beautiful views of one of the swimming pools and the garden. 2 gorgeous rooms (one is a suite) are on the ground floor of the annex. Both feature direct access to the garden and views of the pool. 1 very spacious room (also a suite) is on the first floor. 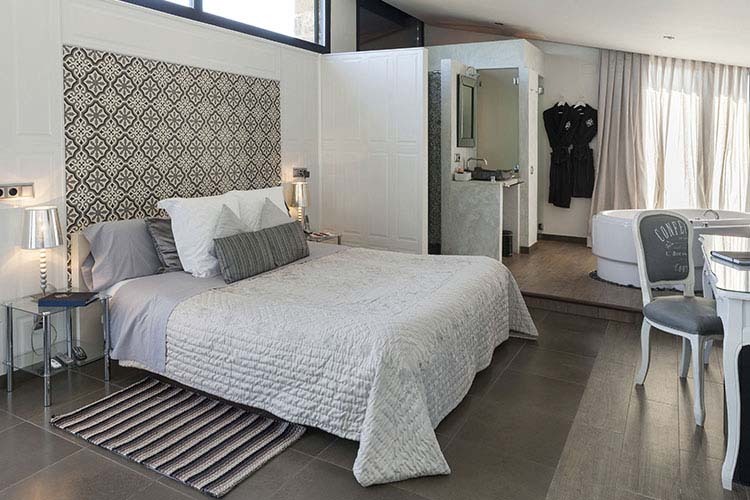 Bathed in natural sunlight and offering 2 independent terraces, one of them has views of the garden and swimming pool. In the old hayloft: there are 3 suites. 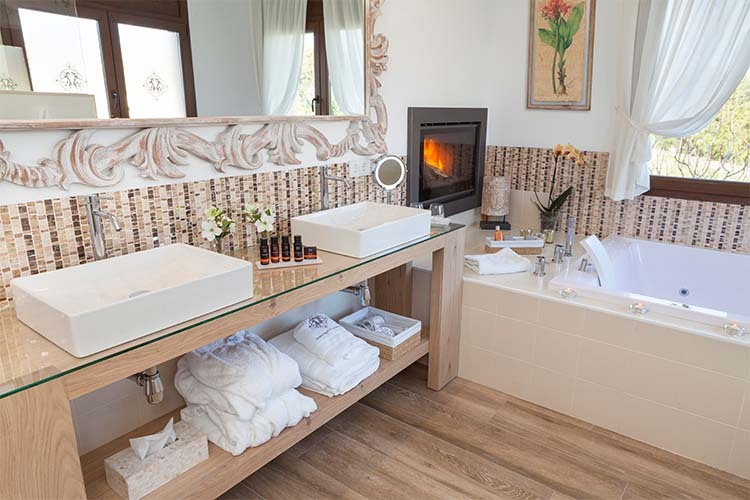 All of these suites offer thoughtful details, fantastic bathrooms with large whirlpool tub for 2 people and a fireplace. In one of the suites the fireplace is 2 sides (one side faces the living room and the other is in front of the large whirlpool bath for 2 people). Another suite (the Pool Villa) features a garden and private pool exclusively for the guests of this suite. Dining: a plentiful continental breakfast featuring traditional local products is included. Dinner is also a homemade menu consisting of Mediterranean and typical regional dishes and is by previous reservation only. Price of dinner not included in room rate. Services and Facilities include: telephone, air conditioning, heating, in-room hair dryer, in-room amenities, in-room television, sound system, fireplace in sitting room, self-service minibar in the sitting room, 3,000 plus m2 garden, 2 swimming pools (one with salt water), massage service (by previous appointment only), free Wi-Fi Internet connection, large book collection, regional information about museums, cultural tours, the nearest golf courses, places to go horseback riding and discover stunning spots. 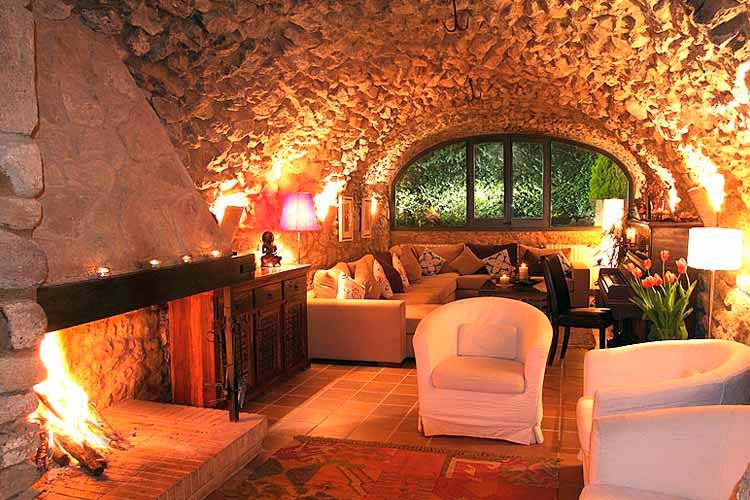 El Racó de Madremanya is an establishment that is not equipped for stays with children under 12. Activities: the area provides year round activities. In spring you can hike around the Empordà and Les Gavarres, beautiful countryside with its explosion of life. In autumn the landscape is tinged with warm colours. 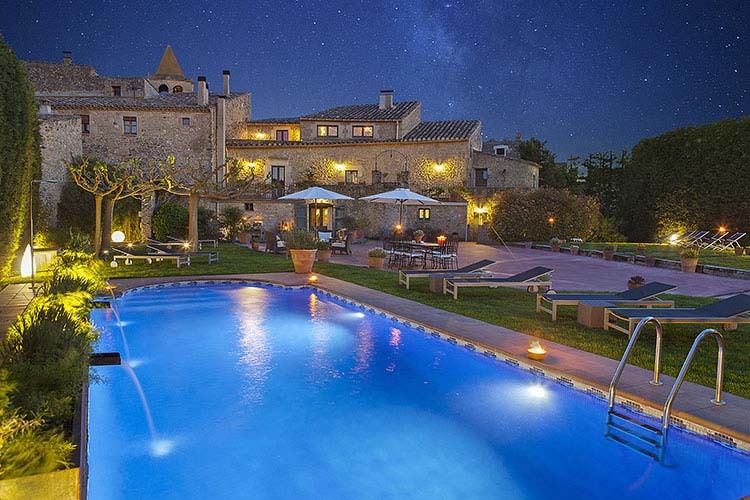 In winter, read by the large sitting room fireplace and in summer, visit the beautiful coves on the Costa Brava or cool down in one of the swimming pools. 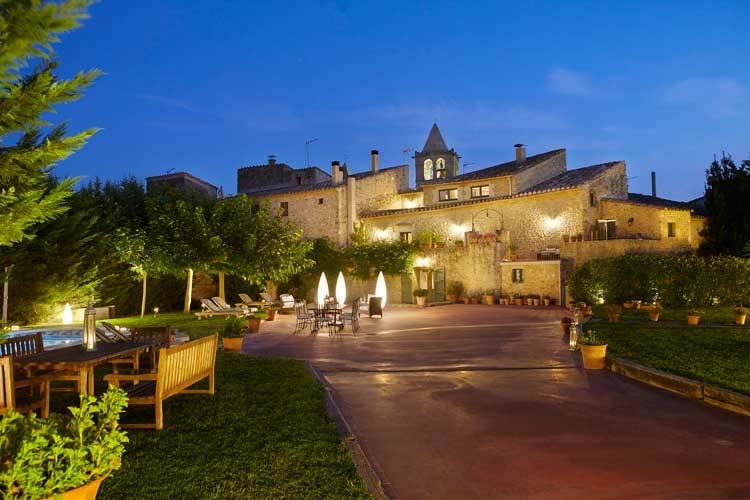 Spend a few days of peace and relaxation, revel in the Les Gavarres and Empordà countryside, do some hiking in the mountains, enjoy sunsets at the beach and play different sports. Discover a region, its culture and its food. The huge garden, 3,000 plus m2 , offers 2 splendid swimming pools (one of them with salt water) and a large terrace and different areas where you can sunbathe, savour a fruit juice, read a book or simply lie down on the spongy lawn and relax listening to the silence of the surroundings. Special Events: this hotel is perfect for a special day such as company meetings or other celebrations. 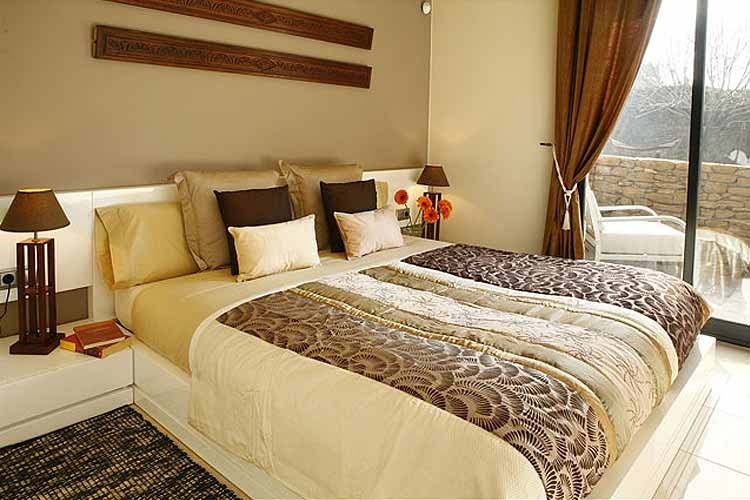 They can help organize everything you need such as catering services, or the possibility of staying at the house. Ask for a free price estimate with no obligation and special rates and discounts for groups booking the entire place, except in high season. Languages spoken: Spanish, Catalan, English. Smoking policy: Under Spanish law, smoking is forbidden inside hotels and restaurants. By car: A7 motorway- exit 6 (Girona Nord), then take the C-66 (towards Palamós - La Bisbal d'Empordà). Cross Celrà, then cross Bordils and at the second set of traffic lights in Bordils turn right (towards Sant Marti Vell Madremanya). Cross Sant Martí Vell and before entering the town of Madremanya, turn left (uphill - there's a sign that says El Pedro, L'Eixample, Zona d'equipaments). At the top of the hill turn left and then turn right. There is no parking on the hotel grounds. By train: The nearest train stations are: Girona, Figueres and Flaçà. By Plane: The closest airports are the Girona-Costa Brava and Barcelona airports. 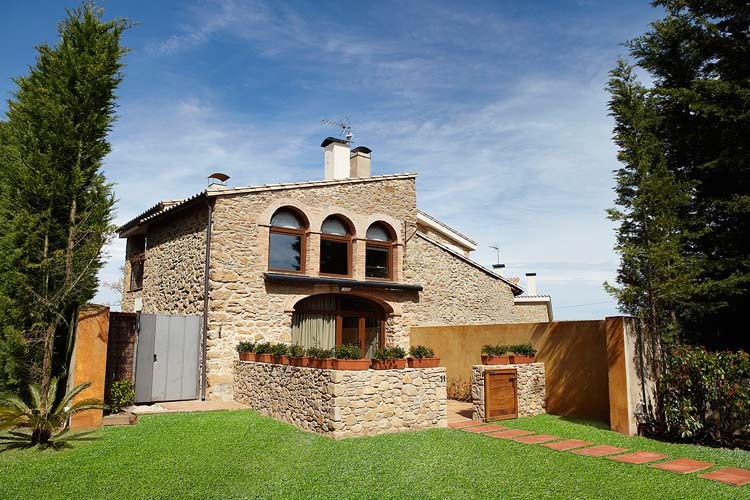 Nearest airport: Girona-Costa Brava - 30 min.